Customer loyalty can be hard to come by these days, especially with the advent of the internet meaning that your competitors are just a couple of mouse clicks away from your very own loyal customers. Many small business owners overlook customer loyalty as way to grow a business, but we know otherwise. Here are a few tips for building loyalty amongst your customer base. Believe it or not, they work wonders. Even something simple as coffee cards for cafés, allowing customers a free coffee after buying, say, ten cups at the full price. Regular customers are rewarded for their loyalty, making them feel special. 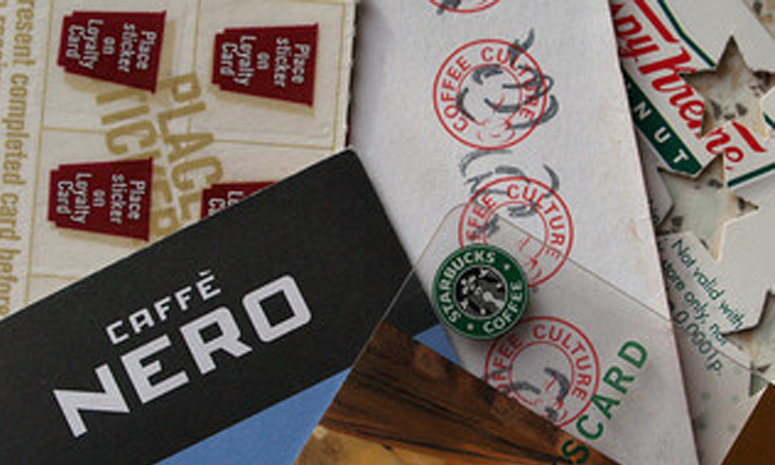 Your company benefits as it will have access to the customer’s data upon them registering for their loyalty card. This will enable you to introduce personalized marketing, which comes with much higher success rates than conventional marketing. Your customer will also benefit from these more personalized offers. It’s no secret: everybody loves to feel special. In fact, it’s probably the most essential part of your customer relationship. Think about it: how good do you feel when you turn up at your favorite restaurant and the manager remembers your name and your favorite dishes?Or when you walk into your local pub and the landlord knows your name and preferred tipple? This little trick works for all businesses, so see your customers as people rather than bags of money and you’ll find the sales take care of themselves. No matter how good your business, there will always be someone who complains. Part of being a small business owner is having to deal with these situations calmly and professionally. It’s actually remarkably simple to turn a complaint into a happy customer, as people are at their most emotive when making complaints.Strong negative feelings can easily be turned into positive ones by offering a good customer service experience. You must ensure that your customer service staff are well-trained and can easily access customers’ information, so they have everything at their fingertips in order to appear professional and caring to customers who might be jaded with your company. Whichever way you look at it, your company’s biggest asset is its customers. You can have the world’s best product, fantastic staff and a shop to blow all others out of the water, but you won’t have a business without customers. Even successful businesses need to take heed as businesses either grow or shrink – there’s no staying static. Keeping abreast of customer service and making your customers feel special is absolutely vital, particularly in this modern world whereby once-loyal customers can head over to your competitors literally by just clicking a couple of mouse buttons. Keep your customers on your side, build some loyalty, and you will be onto a winner for years to come.